This precious little baby is Noah. He was miscarried at 12 weeks and 5 days due to a blood clot which detached his placenta from the wall of his mother’s uterus. He has all his body parts and organs. He only needed to grow and mature in his mother’s womb. 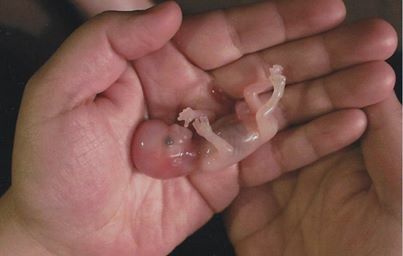 This picture was taken and donated by his mother in hopes that it would help others to realize that the unborn are truly little people and should be protected as such.